In his Introduction to Influence, a book that has sold two million copies and been translated into over twenty languages, Robert Cialdini admits he had always been an easy mark for salespeople, peddlers and fundraisers. It had never been easy for him to just say 'no' when asked to donate money. An experimental social psychologist, he began wondering about the actual techniques that are used to make a person agree to do something when normally they would not be interested. As part of his research, Cialdini answered newspaper ads for various sales training programs so he could learn first hand about persuasion and selling techniques. He penetrated advertising, public relations and fundraising agencies in order to glean the secrets of the 'psychology of compliance' from its professional practitioners. 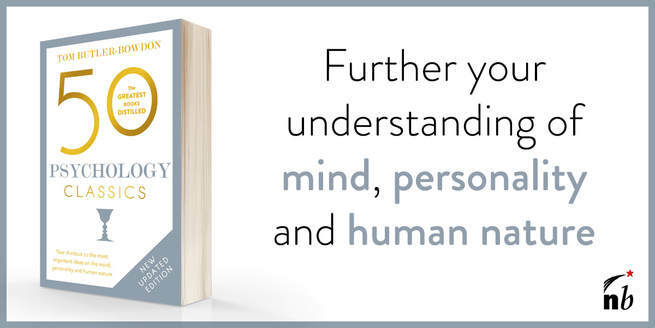 The result is both a classic work of marketing and psychology that shows us why we are so vulnerable to persuasion, in the process telling us much about human nature. Cialdini starts by discussing the mothering instinct of turkeys. Mother turkeys are very protective, good mothers, but their mothering instinct has been found to be triggered by one thing and one thing only: the 'cheep-cheep' sound of her chicks. The polecat is the natural enemy of the turkey, and when a mother turkey sees one she will instantly go into attack mode; she will do so even at the sight of a stuffed version of a polecat. But when the same stuffed polecat is made to make the same 'cheep cheep' sound that her chicks make, something strange happens: the mother turkey becomes a devoted protector of it! You may think: how dumb are animals. Press a button, and they act a certain way, even if those actions are ridiculous. But Cialdini tells us about turkey behavior only to prepare us for the uncomfortable truth about human automatic reaction. We also have our 'preprogrammed tapes' which usually work for us in positive ways – for instance, to ensure our survival without having to think too much – but they can also be played to our detriment when we are unaware of the triggers. Cialdini identifies half a dozen 'weapons of influence', ways of getting us to act automatically that sidesteps our normal rational decision making processes. Psychologists call these easily triggered behaviors 'fixed-action patterns' – know the trigger, and you can predict with reasonable likelihood how a person will react. A more accurate but longer title for Influence may have been 'How to get automatic reactions from people before they can think rationally about your proposition'. Cialdini's six basic 'weapons' that compliance professionals use to get people to say 'yes' without thinking include: reciprocation, commitment and consistency; social proof; liking; authority; and scarcity. The rule of reciprocation, found in every culture, is that we should repay anything given to us, whether a gift, invitation or compliment etc. Do you prefer doing favors for someone you like? Most of us would say yes, but psychological studies have found that the liking factor makes no difference to our sense of obligation to repay a favor. We will feel obligated to individuals or organizations who give us something, even if it is small and even if we don't want it. Cialdini mentions the Hare Krishna movement's tactic of giving flowers or small books to people in the street or in airports. Though most people don't want the flower and often try to give it back, once it is in their hand they feel an obligation to give a donation. Straightforward mailings by charity groups usually get a response rate of less than 20 per cent. But this jumps dramatically when the mailing includes a gift, such as stick on labels with the receiver's own name and address printed. It is not just the obligation to repay that is powerful, but the obligation to receive. Not feeling able to say 'no', plus our unwillingness to be seen as a person who doesn't repay things, makes us prey to canny marketers. Next time you receive an unsolicited 'gift', Cialdini warns, be aware of the lack of good will involved; it may allow you to receive it and not give anything back while still retaining a good conscience. He refers to the famous Watergate break-in that brought down the Nixon presidency. In hindsight, the break in was stupid, risky, unnecessary (Nixon was set to win the next election anyway) and expensive. But the Republican re-election committee which OK'd the job only did so to placate one of its more extreme members. G Gordon Liddy had previously presented two much more outlandish, expensive proposals involving everything from mugging to kidnapping, so when he submitted the idea of a small break in to Democratic headquarters, the committee felt obligated to say 'yes'. As committee member Jeb Magruder put it later, “We were reluctant to send him away with nothing”. Beware the influence of the reciprocation impulse. Human beings like to be consistent. We feel better about something if we are committed to it, and once we are, we do what we can to justify in our minds the decision. Why are we like this? Part of the reason is social pressure. No one likes a person who see-saws from one idea or state of mind to another - we want to be seen as knowing what we want. This, unfortunately, creates a goldmine for marketers. They are very aware of the internal pressures against changing one's mind, and take full advantage. When charity phone callers ask 'How are you feeling tonight, Mrs ...? ', nine times out of ten we give a positive response. Then when the caller asks us to give a donation to the unfortunate victims of some disaster or disease, we cannot very well suddenly turn mean and grumpy and refuse others who are in a bad way. To be consistent, we feel compelled to offer a donation. Marketers know that if you get a person to offer a small commitment, you have their self-image in your hands. This is why some unscrupulous car dealers offer an initially very low price for a car, which gets us into the showroom, but later, with all the extras, it doesn't turn out to be a low price at all. Yet by this stage we feel committed to the purchase. Another trick is that salespeople know that getting the customer to fill out an order form or sales agreement themselves dramatically reduces the chances they will change their mind. Public commitments are a strong force. Cialdini notes Emerson's famous quote that 'A foolish consistency is the hobgoblin of little minds'. Especially when you are marketed to, remember your natural tendency to be consistent and you will find it easier to back out of deals that really aren't that good. Go with your gut feeling about the worth of something before you feel the pressure of consistency – and before you make an initial commitment. Why is canned laughter still added to the recordings of TV comedies, even when the creative people who made the shows feel insulted by it and most viewers themselves say they don't like it? Because the research shows that viewers find the gags funnier when they hear other people laughing – even if the laughter isn't real. Human beings need the 'social proof' of other people doing something first before they feel comfortable doing it themselves. Cialdini provides a very dark example, the famous case of Catherine Genovese, a woman who was murdered in street in Queens, New York City in 1964. Despite the fact that her assailant attacked her three times over the course of half an hour before finally killing her, despite the sound of screams and scuffles, and incredibly even though 38 people saw what was happening, no one stopped to intervene. Was this just a case of the heartlessness of New Yorkers? Possibly, although the witnesses seemed shocked themselves that they had done nothing. Finally an answer emerged. It seemed everyone thought someone else would do something, and so no one individual did anything. A person in dire straits, Cialdini notes, has a greater chance of getting help if only one person, rather than a number of people, are around. In a crowd or in a city street, if people see that no one has gone to someone's aid, they feel themselves disinclined to help. We seem to need 'social proof' before we act. Before it became a common notion, Cialdini discussed the idea of 'copycat' suicides. The most famous case of social proof in relation to suicide was the ghastly Jonestown, Guyana incident in 1978, when 910 members of Jim Jones's People's Temple cult took their lives by drinking from vats of poisoned soft drink. How was it possible that so many died so willingly? Most of the cult members had been recruited in San Francisco, and Cialdini suggests that the isolation of being in a foreign country contributed to the natural human tendency to 'do what others like us are doing'. On a lighter note, advertising and marketing is often built around our need for social proof. Often, our unwillingness to use a product until plenty of other people are using it is a useful way of knowing if something is good or not (a shortcut), but marketers get around this easily. Consider the use of 'testimonials', which, even when done by actors, still have the ability to influence our buying decisions. GK Chesterton said “The way to love anything is to realize that it might be lost”. It is human nature to value something more when it is scarce. In fact, we are more motivated by the thought of losing something than we are by gaining something in its place of equal value. Retailers know this, which is why they perpetually scream 'Stocks won't last' to make us fear not getting something we were not sure we wanted anyway. When a film or book has been censored or banned, Cialdini notes, demand for it usually jumps. Whatever we have been told we shouldn't have gains cachet. According to his ‘Romeo and Juliet' effect, teenage lovers are much more likely to intensify their relationship if both parents oppose the union and it is difficult for the lovers to meet. We should be aware of our reactions to scarcity because it affects our ability to think straight. We will do silly things like get in bidding wars and then have to pay for something we never budgeted for. We fall victim to salespeople who 'only have one left in stock' or real estate agents who tell us about 'a physician and his wife from out of town who are also interested in the house'. Be careful to make cool evaluations of the worth of a thing itself, instead of being hijacked by the fear of missing out. You will have to get the book to learn about the two other categories of influence, 'Liking' and 'Authority'. As a clue to the second, Cialdini refers to Stanley Milgram’s famous experiments on the tendency of human beings to respect authority, even when the authority figure is highly questionable. Though Cialdini offers many salutary and often scary lessons about our vulnerability to psychological techniques, awareness of them should not necessarily lower our view of human nature. In fact, an appreciation of our automatic behavior patterns may increase the chance that we will retain a mind of our own. The best way of reducing the prevalence of compliance tactics on the unaware is to have more people knowing about them – and in this Influence has done a great public service. One interesting feature of the revised edition of the book is letters sent in from readers who have witnessed, or been the victim of, the techniques discussed in the book and wished to share them. Influence is a great primer on how marketers succeed in getting us to buy, but on a deeper level is about the way we make decisions. Are your decisions the result of someone trying to pull your mental or emotional strings, or are you thinking rationally? Born in 1945, the author is considered the world's leading authority on the subject of influence and persuasion. He is currently Regents' Professor of Psychology at Arizona State University, and is president of a consultancy, Influence At Work, which works with corporate clients. Cialdini received his PhD in psychology from the University of North Carolina and did post doctoral training at Columbia University. He has also held posts as a visiting scholar at Ohio State University and Stanford University. Other books include Influence: Science and Practice, designed for teaching persuasion and compliance principles to groups.